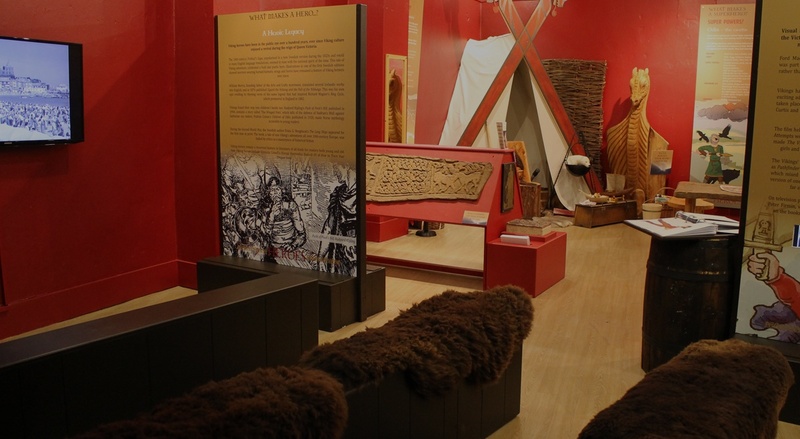 visitors can explore how they were celebrated and commemorated and what archaeological evidence can tell us about their stories, which are told through a series of display panels, a Viking Age human remains displaying the battle injuries of a warrior, replica objects, AV projection and interactive activities. Please note that as this exhibition includes the display of human remains, certain exhibition display and operational criteria must be observed. Leaflet (1/3 A4) – £1,000 (+ VAT) per 20,000 (with hirers own details). Staff Training – from £300 (+ VAT) per half day plus travel expenses (includes training material). Marketing Strategy implementation – a number of packages are available that include advertising, PR, distribution, learning programmes, etc. Educational session development and training, plus loan boxes and handling collection development. Branded and themed shop stock on a sale or return basis.